ClickMeeting is a premier provider of a browser-based platform for hosting webinars, training sessions and online meetings. attendees from Ukraine and Russia. 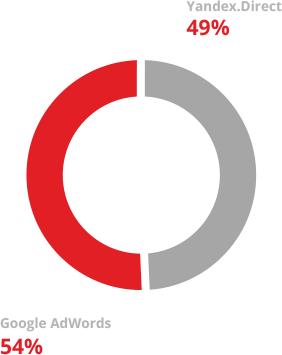 • to increase brand awareness within these countries. 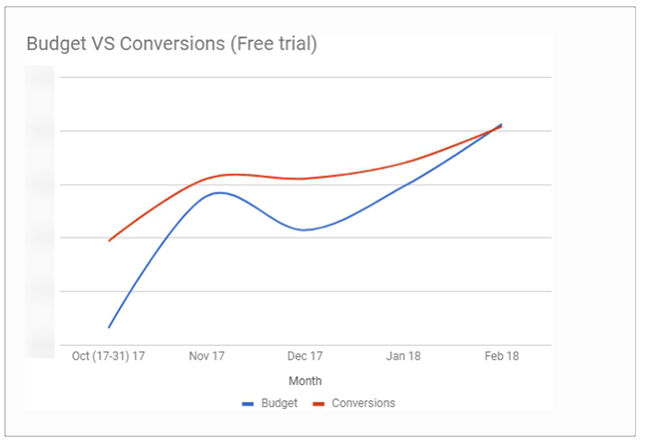 In 2017, the company ClickMeeting set a goal to increase free and paid conversions from Ukraine and Russia. They launched search campaigns targeting these regions. However, the results they have received were unsatisfying. To promote the webinar software and boost free and paid subscriptions from the target regions, we had tocreate and configure a completely new efficient search and remarketing campaigns in Yandex, the most popularsearch engine in Russia, and in Google, which is popular in both countries. We created the expanded text ads with strong call-to-actions and implemented these in campaigns instead of standard text ads with low CTR. 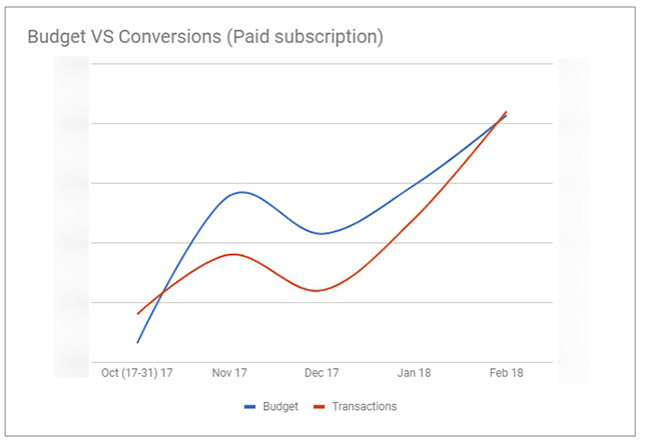 Within two weeks, we had achieved better results compared with the previous campaign.Despite the fact that clicks had decreased slightly, conversions rocketed by 20%, and the cost of advertising reduced fourfold. In the new campaigns, we used three different keyword match types: exact, phrase, and broad match modifier. This allowed us to attract maximum traffic by relevant keywords, to find new keywords as well as negative keywords, and to identify the most cost-efficient per conversion keys according to the specific keyword type.The weekly check of search queries allowed us to expand the semantic core and exclude irrelevant queries. At the beginning of the campaign launch, we checked for duplicated keywords at the group-level and campaign-level. During the weekly optimisation, we had cross-matched negative words. For this, we used AdWords Editor tool and services that can divide phrases into words and search for any crossing of terms in several lists. 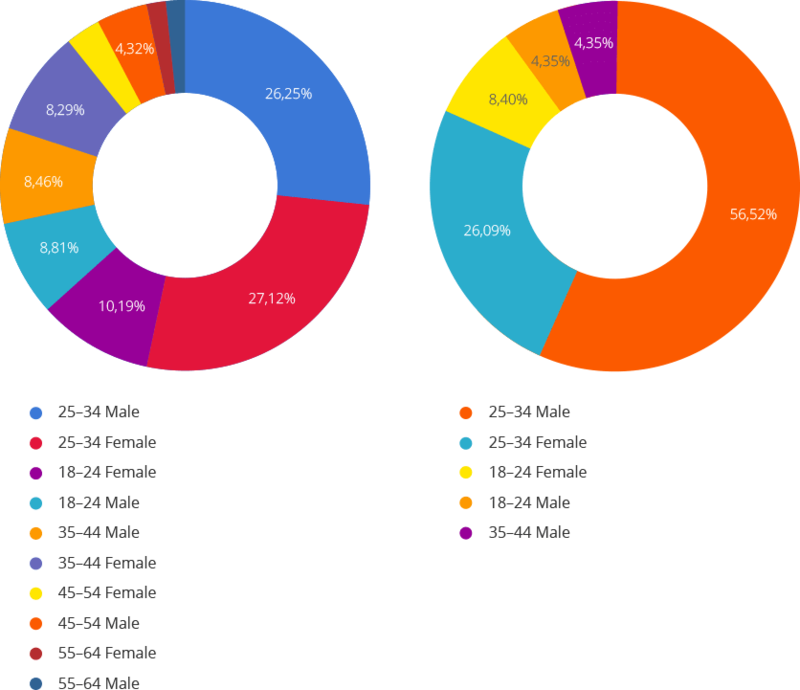 As a result, negative keywords were excluded from the account, and keywords with less competition received a lower CPC. 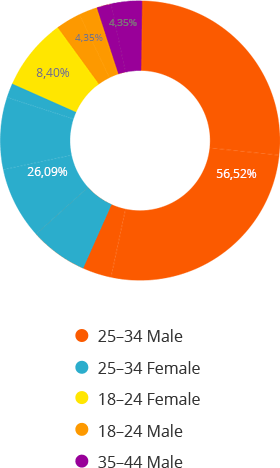 We excluded mobile apps from a GDN campaign inasmuch as this advertising was ineffective, as we can see in the statistic below that was made a month before we started to work on this project. This solution helped us decrease the overall cost per conversion across the account. Inasmuch as the original remarketing audiences with ‘Bid only’ setting included to the cloned campaigns, the sense of campaign splitting was lost, and the statistics data was vague. 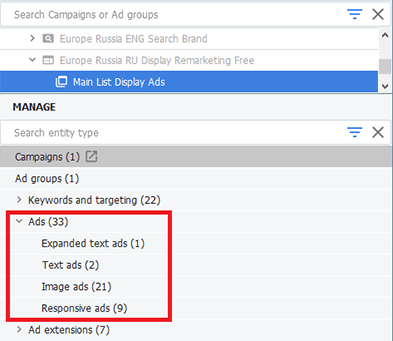 To simplify management of the advertising account in general, and keywords in particular, we added ‘Target and Bid’ remarketing audiences to search campaigns. As a result, today, remarketing audiences has returned 40% cheaper conversions. In one group of the original GDN-campaign used ads of different types: html5, adaptive and static banners. 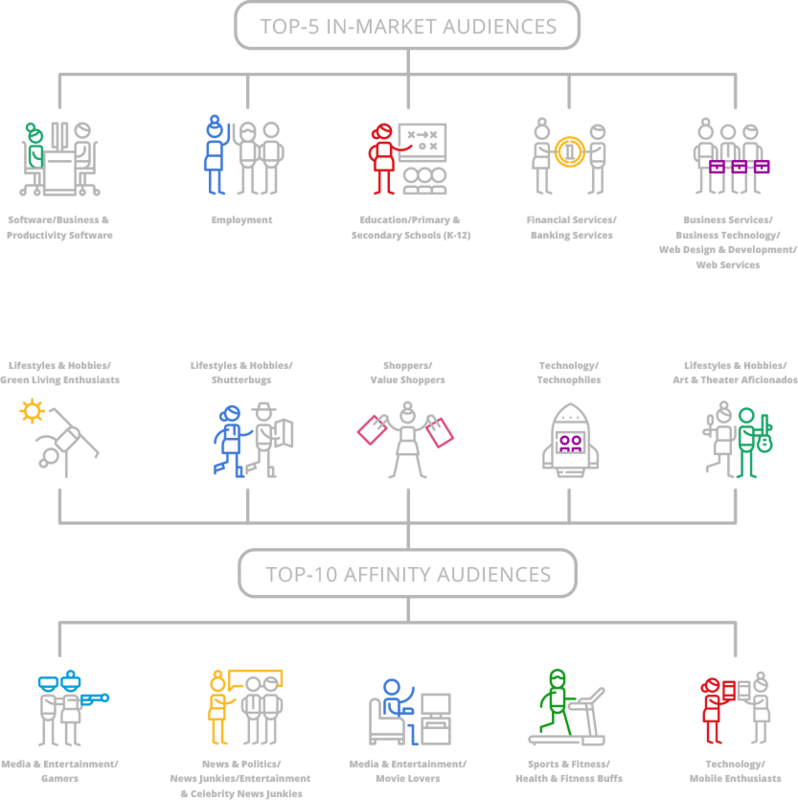 Previously, these groups were divided according to the attribute used to the target audience and duplicated the same ads – of all types and creative sets. This mistake hindered to analyse the display ads efficiency. Instead, we divided the ad groups by the types of ads and dates when these were added to the account. This solution simplified campaign management as there was no need to remember when and which display ad was launched. A new structure allowed us to evaluate the effectiveness of different formats of display ads, and to find out which type of ads return the best results. As long as we implemented new opportunities, the number of new free and paid accounts from Ukraine and Russia has been rising. 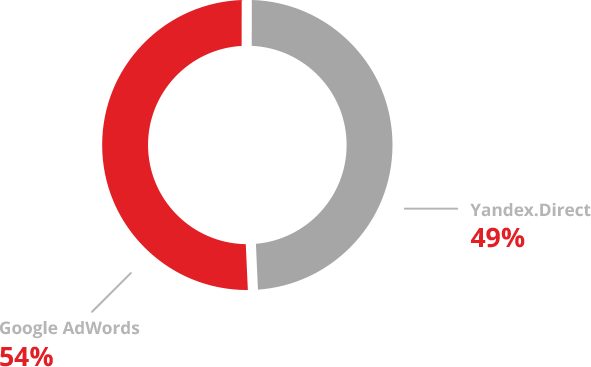 Google Adwords generated 54% of all targeted conversions and Yandex.Direct returned 49% of targeted conversions. 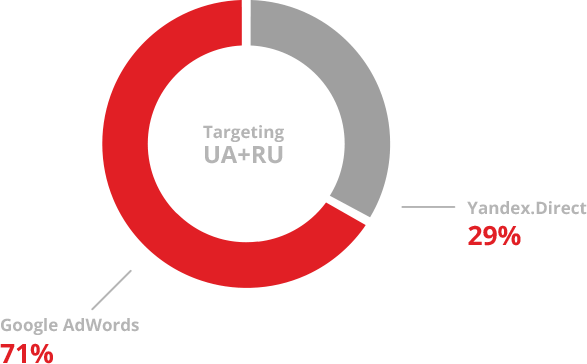 Partial audience overlap occurred at the expense of users from Ukraine and Russia who saw ads from both search engines. During January and February 2018, we exceeded the planned KPI for the number of new attendees from Ukraine and Russia using only 58% of the initial budget. Due to the elaboration of keywords, we efficiently allocated the advertising budget and disabled the advertising platforms that did not return conversions. In this way, we managed to achieve growth of free subscriptions by 5%, and paid subscriptions by 33%. At the same time, the budget of new campaigns has not increased in comparison with the previous ones.